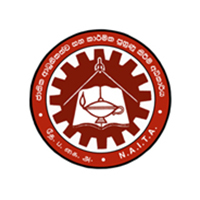 National Apprentice and Industrial Training Authority (NAITA) is a key institution in TVET sector of Sri Lanka operating under the ministry. NAITA has been established in 1990 by restructuring the former National Apprenticeship Board (NAB) which was established in 1971 to conduct Enterprise Based Apprenticeship Programmes. Before the establishment of the Vocational Training Authority in 1995, and during the evolutionary process, while having the main focus on Enterprise Based Apprenticeship, NAITA has established a number of National, Regional and Rural Training Centres as well. However having the experience of successful running of three national institutes, more recently NAITA was entrusted to establish one more National Institute at Kilinochchi with the assistance of German Government. Nevertheless, under the present context of having a number of different training networks in the country, NAITA is encouraged and expected to focus more on Enterprise Based Apprenticeship. NAITA carries out its mandate through 25 district offices with field training inspectors and four National Institutes and a large number of training centers.